Item # 296520 Stash Points: 4,499 (?) This is the number of points you get in The Zumiez Stash for purchasing this item. Stash points are redeemable for exclusive rewards only available to Zumiez Stash members. To redeem your points check out the rewards catalog on thestash.zumiez.com. 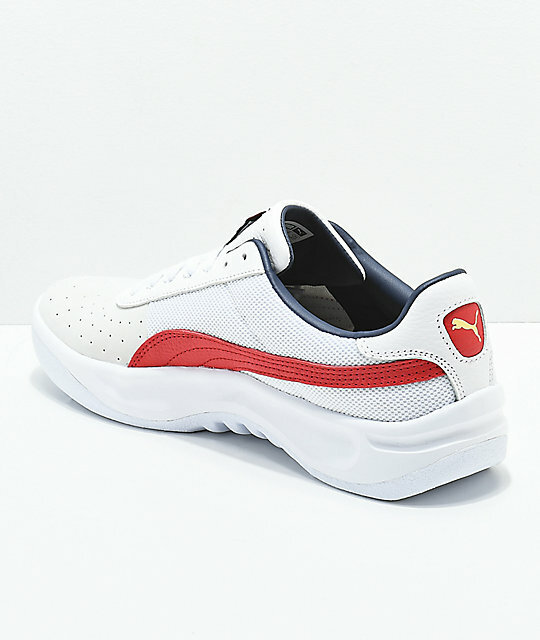 Well defined with sporty lines and a contemporary low-profile silhouette, PUMA's California Casual White and Red Shoes are rooted in chill west coast vibes while still exemplifying plenty of cues towards the brand's signature luxurious Euro-athletic styling. 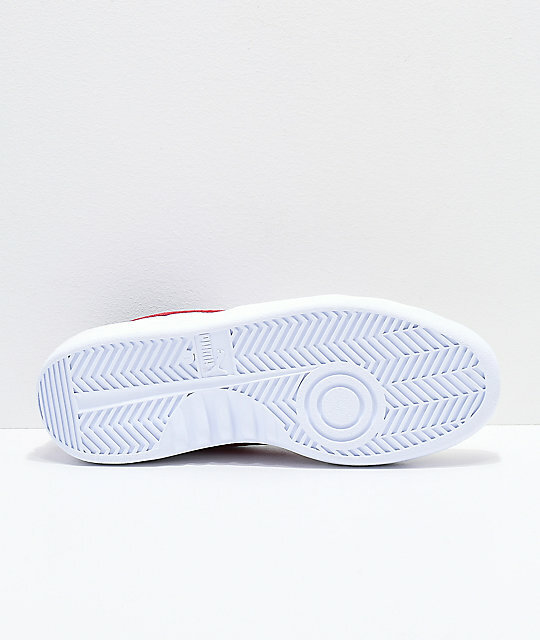 The sneakers offer a plush fit and feel through it's innovative thick EVA midsole and rubber outsole, a combination that's clearly pronounced at first glance towards the shoe's side profile. A wonderful go-to sneaker for your laid back looks that offers a touch of athletic flair to any outfit. 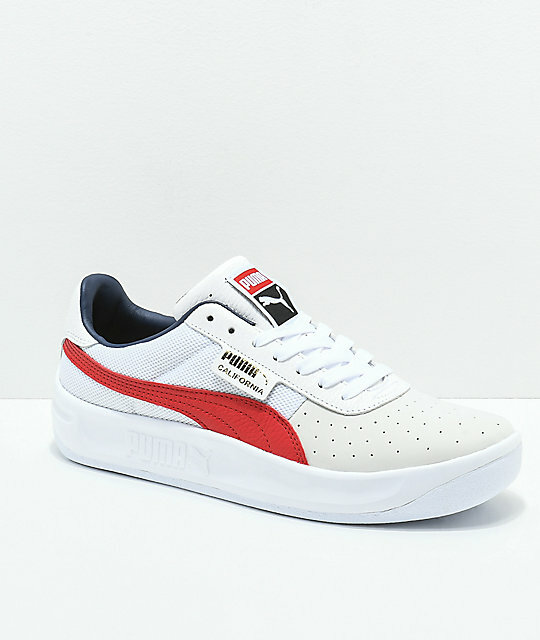 California Casual White & Red Shoes from PUMA. 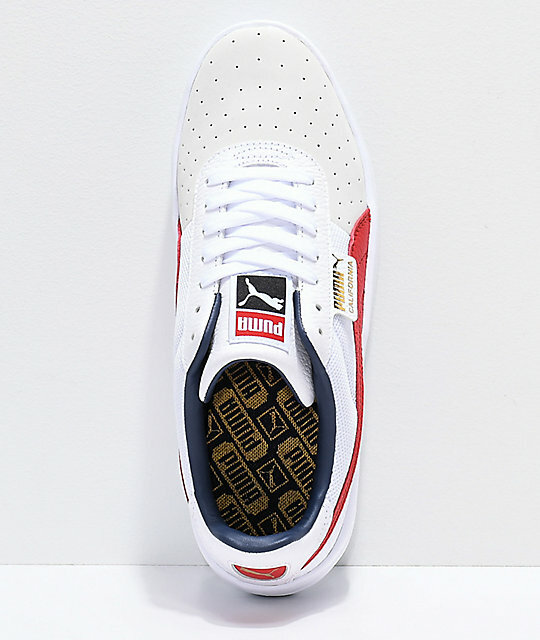 Leather upper with mesh sidewalls. EVA midsole for impact support.